This office building housing a construction company comprises a showroom, a workshop and an office section. 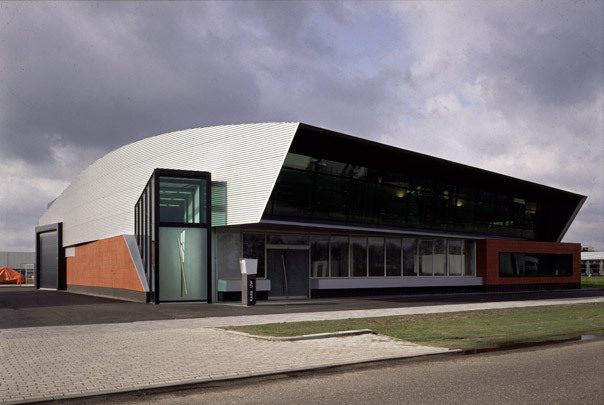 Its meticulous detailing, unusual choice of materials and singular design incorporating angular forms and a curved roof set it apart from buildings usually found in such business parks. It sits on a plinth of asphalt, a material also used inside and on the stairs.